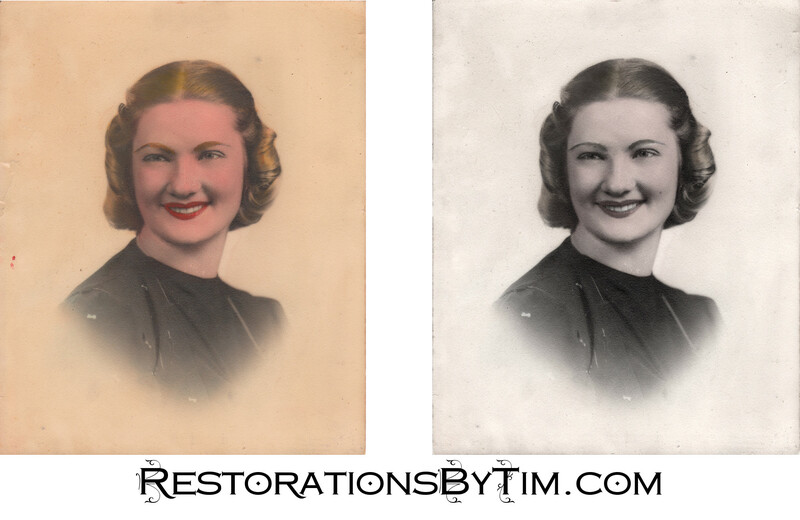 Light Restoration: Desaturation, Clean-Up | Photo Restorations by Tim G.
Taking color out of a picture is simple. Adding color to a black-and-white photo is a trick. Aunt Rose’s valiant attempt at hand-colorization didn’t quite convince. The skin tone is unnatural and heavy brush strokes span the lips and eyebrows. Removing most of the color and cleaning up around the lips and eyebrows quickly restored this photograph near to its original splendor.